A Las Vegas police officer helps people escape the mass shooting at the Route 91 Harvest festival on Oct. 1, 2017. Las Vegas police check the Route 91 Harvest festival grounds for survivors after the mass shooting on Oct. 1, 2017 near Mandalay Bay. LVMPD body camera footage. 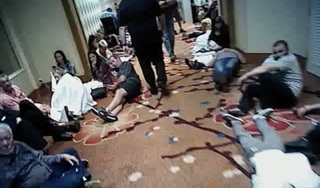 Hundreds of survivors and witnesses to the Las Vegas mass shooting broke into applause when police officers entered the Tropicana resort on the Strip. A police sergeant estimated that around 1,500 people were sheltered in the building’s halls at the time, around 2 a.m. on Oct. 2, 2017. 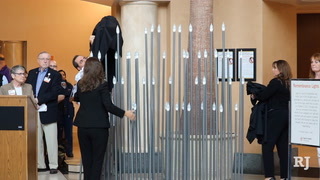 Many of them were draped in white blankets. 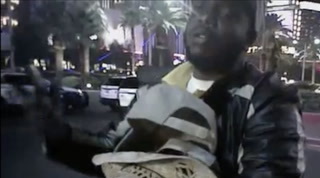 The moment was captured on a Las Vegas Metropolitan Police Officer’s body camera. Seventeen minutes later, the officer picked up a bullhorn and thanked the crowd for their response. “I’m terribly sorry about tonight,” he said. 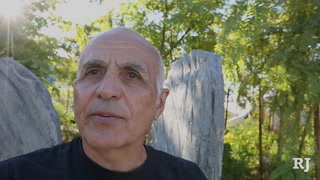 “We have no control over the actions of evil people, but we’re here now…. Thank you so much for coming to our city. We’re sorry this happened. We hope you can come back some day and enjoy a great weekend.” Several people shouted “thank you” as the crowd applauded again. 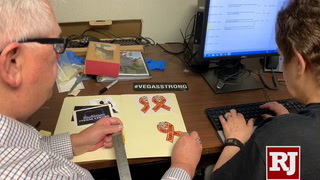 Las Vegas police officers inside Mandalay Bay’s security office had difficulty communicating with emergency services outside after the Oct. 1 mass shooting at the Route 91 Harvest festival. 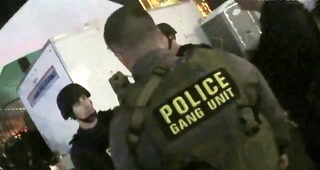 LVMPD body camera video. People on the street react to the Mandalay Bay not dimming their lights for the October 1 victims. 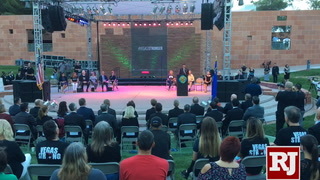 Las Vegas commemorates Oct. 1, one year after the mass shooting that killed 58 people on the Strip across from Mandalay Bay at the Route 91 Harvest festival. 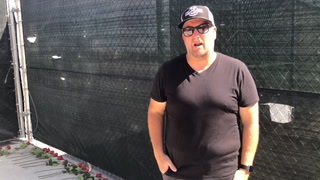 Chris Lisle, visiting from Nashville, Tennessee, was not at the shooting but said he designed Jason Aldean’s show, as a concert production designer. “I wasn’t physically here, but all my friends were,” Lisle said. “It hurt. It hurt bad. 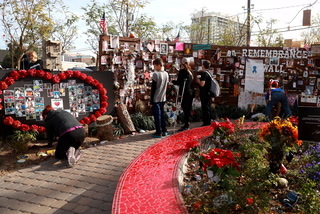 It still hurts, a lot.” Lisle left 58 roses along the South gate of the festival grounds in memory of the 58 who were murdered. 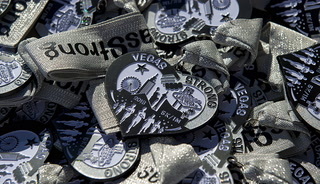 To commemorate the first anniversary of One October, Jus Run hosts a Vegas Strong 5K/1-Mile. 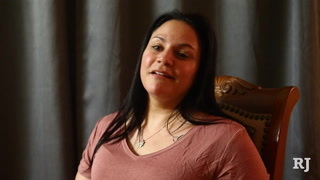 Malinda Baldridge of Reno attended the Route 91 Harvest festival with her daughter, Breanna, 17, and was shot twice in the leg when the gunman fired on the crowd. Police search backstage during Cirque du Soleil's Michael Jackson One show at Mandalay Bay in Las Vegas on Oct. 1, 2017, after the mass shooting at the Route 91 Harvest festival. LVMPD body camera footage. Las Vegas police officers talk to witnesses after the Oct. 1, 2017, mass shooting on the Strip at the Route 91 Harvest festival. LVMPD body camera footage. 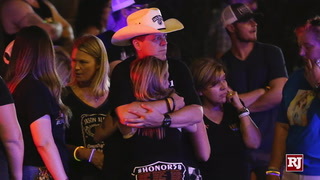 A Las Vegas police officer walks through a resort hallway of survivors, witnesses, and bystanders after the Oct. 1 mass shooting at the Route 91 Harvest festival. LVMPD body camera footage. A Las Vegas police officer shows other officers a photo of Marilou Danley from his phone inside a restaurant atop Mandalay Bay resort. 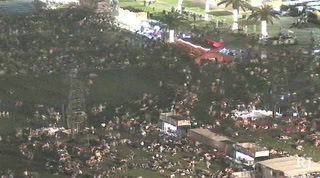 Danley, the girlfriend of mass shooting gunman Stephen Paddock, was out of the country at the time of the Oct. 1 shooting at Route 91 Harvest festival. 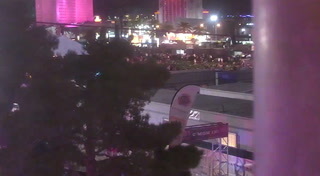 Las Vegas police officers move forward through the Route 91 Harvest festival grounds after the Oct. 1 mass shooting, briefly taking cover behind a police SUV. A security guard for the Route 91 Harvest festival in Las Vegas on the night of Oct. 1, 2017, describes his experience after the shooting. Las Vegas police respond to the Oct. 1 shooting at the Route 91 Harvest festival and to Mandalay Bay resort in this body camera footage. Two Las Vegas police officers rush to respond to the Oct. 1 shooting at the Route 91 Harvest festival and Mandalay Bay when they are stuck behind a gate at a parking garage trying to get out. 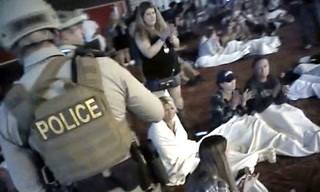 Las Vegas police discuss civilians trying to offer help at the Oct. 1 shooting scene on the grounds of the Route 91 Harvest festival in this body camera footage. An officer who left Route 91 goes to get equipment from his police car. He gets his rifle and runs back to the site, giving warning to everyone he encounters to take cover. 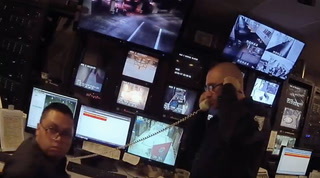 A 911 dispatcher receives a call from the October 1 shooting at the Route 91 Festival. 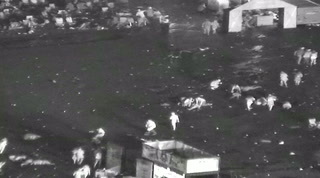 A 911 call from the Route 91 festival the night of the 1 October shooting. 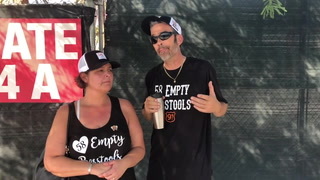 An emergency phone call from a woman at the Route 91 festival. 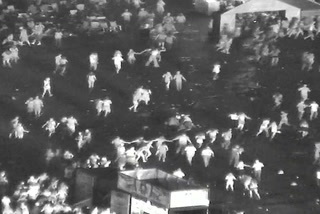 Video from the night of the October 1 shooting of the Route 91 Festival via a camera from the Mandalay Bay. 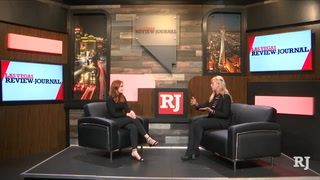 Elaine Wilson is joined by Rachel Crosby to discuss the released body-camera footage from Metro on the night of the Oct. 1 shooting. 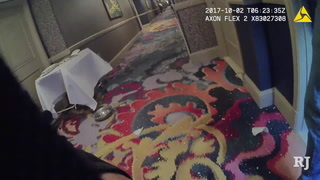 Metro police officers walk into a hotel guests room on the 30th floor of the Mandalay Bay Hotel after seeing that it was open to advise them of an active shooter on the night of the Oct. 1 shooting. 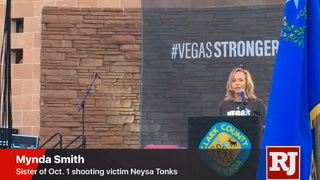 Las Vegas police were searching Monday for a Venetian employee suspected of opening fire at a company picnic Sunday night, leaving one woman dead and a man critically injured. The suspect has been identified as 42-year-old Anthony Wrobel. 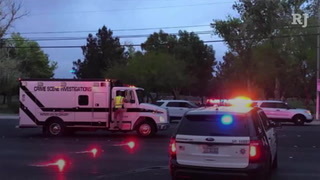 The shooting happened just before 6 p.m. Sunday at Sunset Park, near Eastern Avenue and Sunset Road, where the Strip resort employees were gathered for a company picnic. 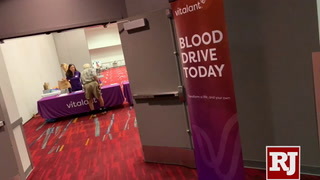 The victims were taken to Sunrise Hospital and Medical Center, where the woman, who was in her 50s, died. The man was in critical condition late Sunday, but his condition Monday morning wasn’t immediately known. 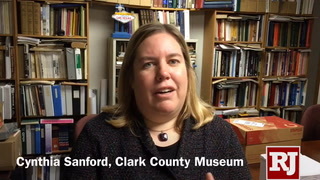 Elaine Wilson and Rachel Crosby discuss the logistics that it will take for a memorial to be created for the victims of the October 1 shooting. Elaine Wilson, Wade Millward and Eli Segall discuss the implications and reactions from MGM's decision to release security footage of Stephen Paddock in the days leading up to the October 1 shooting. 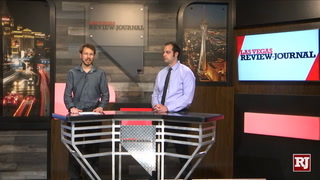 Review-Journal reporters Harrison Keely and Wade Millward go over the newly released footage of Stephen Paddock before the October 1st shooting. 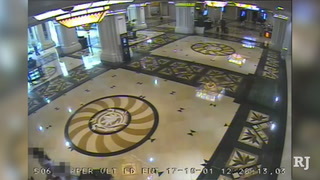 MGM video of Stephen Paddock leading up to the shooting on October 1. 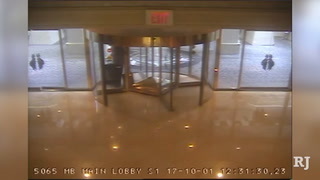 MGM video of Stephen Paddock taking an elevator to parking garage. 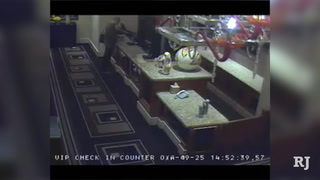 MGM video of Stephen Paddock walking through the hotel with suitcases. 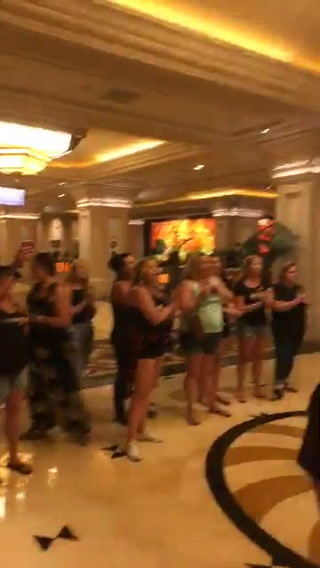 MGM video of Stephen Paddock entering the hotel with suitcases. MGM video of Stephen Paddock exiting the parking structure elevator. 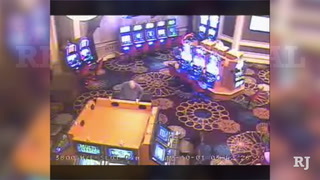 MGM video of Stephen Paddock taking and elevator to the casino. MGM video of Stephen Paddock plays slots in the high-limit slot area. 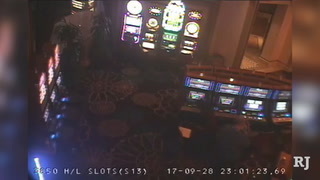 MGM video of Stephen Paddock playing slots and interacting with an employee. 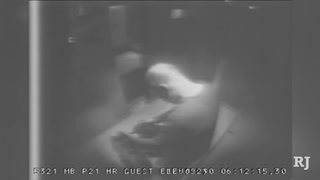 MGM video of Stephen Paddock entering elevator bank in the early morning. 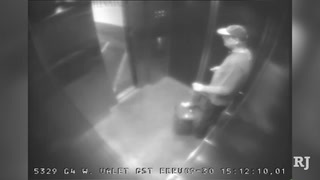 MGM video of Stephen Paddock taking the elevator to the casino. 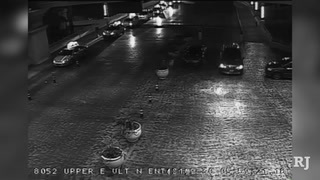 MGM video of Stephen Paddock retrieving his vehicle from valet. 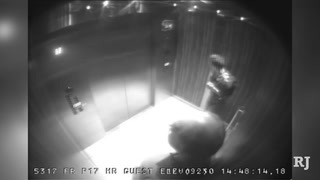 MGM video of Stephen Paddock entering an elevator to go to the 32nd floor. 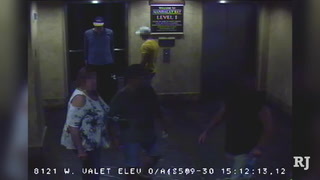 MGM video of Stephen Paddock entering a parking structure elevator. 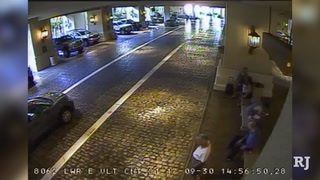 MGM video of Stephen Paddock arriving at the valet. 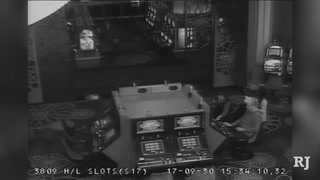 MGM video of Stephen Paddock playing slots in a high-limit area. 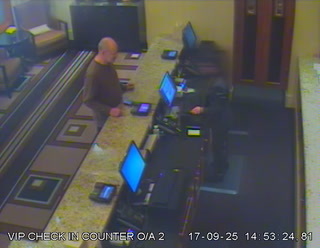 MGM video of Stephen Paddock interacting with a lobby employee. 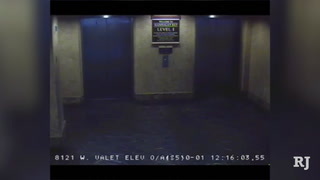 MGM video of Stephen Paddock taking the elevator to the 32nd floor. An anonymous donor has given $62,500 to ensure that all of Stephen Paddock’s weapons are destroyed, according to the attorney for the special administrator of the gunman’s estate. 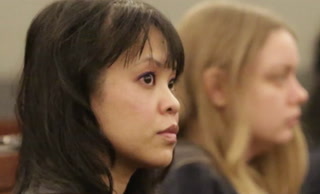 After nearly 16 months, the agency said it could not determine why gunman Stephen Paddock killed 58 people and injured hundreds of others in October 2017. “I hit the step just right, and it broke my leg,” Las Vegas police officer Samuel Wittwer said in a recent interview about the night of Oct. 1, 2017. Las Vegas Strip gunman Stephen Paddock’s house in Mesquite has been sold. The Metropolitan Police Department has no plans to release additional body camera footage or documents related to the Las Vegas shooting, the agency announced Thursday. The long road to banning bump stocks in the wake of the Oct. 1, 2017, Las Vegas mass shooting will come to an end in 90 days when a final rule drafted by the Department of Justice and prompted by President Donald Trump becomes law. 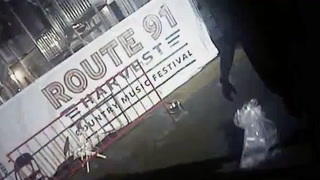 The Route 91 Harvest festival, the tragedy-marred country music event, might be returning to Las Vegas. But how will it be received? Plans are underway to return the Route 91 Harvest country-music festival to the Strip in the fall of 2019 — and at the Las Vegas Festival Grounds, not the Las Vegas Village. Looking for something specific in Las Vegas Shooting?